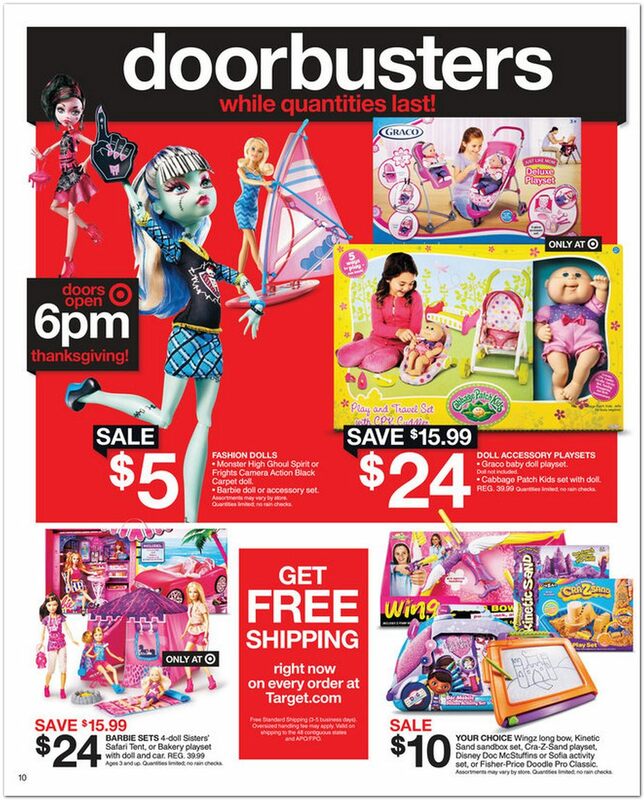 I'm BACK with part 2 of Target's Black Friday ad! If you remember yesterday there were some pretty good deals posted. I probably should only talk about pages 6-8 today but I'll stick with the 5 pages like yesterday, you'll see why I say this shortly. Anyways we are off with the first page which just so happens to be the cover picture! The obvious winner for the best deal on this page is the Hello Kitty Karaoke System! 1. GAMES! 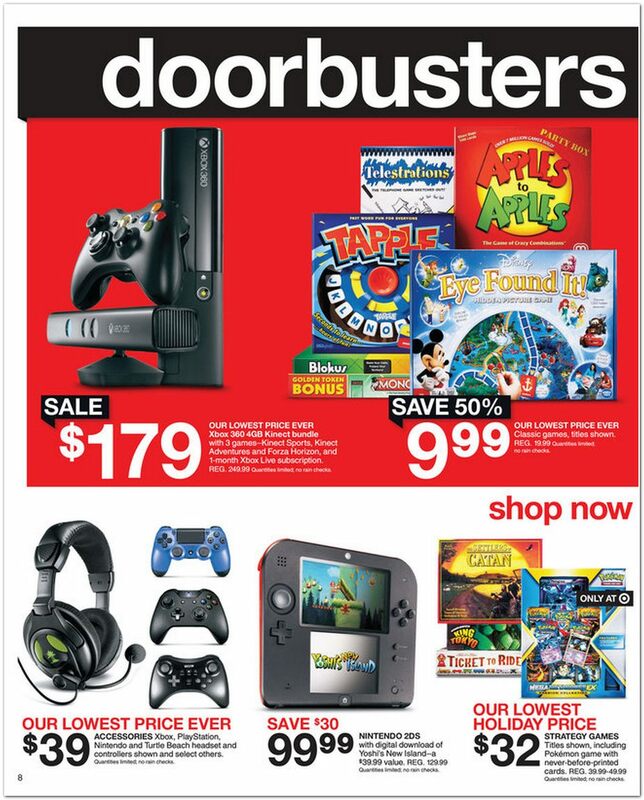 50% off, $15 Games, $25 Games, $35 Games plus $60 games with $15 Target gift card. Just about everything on this page is worth checking out even the Skylander/Disney Infinite figures. I've that about starting a collection of them and realized I'm broke. I'm a sucker for Game Night so we may have to check out those board games for $10. Plus I've been looking to get another Xbox 360 and that's a pretty good deal! One of the Lego sets was a DC Universe Super Heroes set and then another one was Star Wars... those can't be too bad. I'm not even going to comment on this page... Crap, I just realized that saying "I'm not even going to comment on this page" is in fact me leaving a comment which in turn is more exciting then this page. Ok there you have it! Pages 6-10 what did you think? Like I said I probably should have left out pages 9 and 10 but hey this is a "Kid Friendly" blog! Here are the items that stood out to me. Page 6 has to be the GoPro and Beats Studios. Great deals on both of them! Page 7 might be the only page I get something from this Black Friday. Both the Evil Within and Shadow of Mordor is $25 a piece! Page 8 like I said I love a good game night, however the deal on the Xbox 360 seems fantastic! Page 8... well the Lego set for DC Universe and Star Wars seem pretty legit. Page 9, NO COMMENT. So what do you think? Find anything that tickles your fancy? Let me know in the comments and don't forget to LIKE THIS POST! Have a great day! !